One of my favourite reality shows on TV is Survivor. It can also be credited with being the birth of reality television. Survivor was first aired in the year 2000, that is 17 years ago and has gone on to have 34 seasons. That is roughly two a year. People take their survivor very seriously; some even go as far as to host survivor parties. They invite all their friends over to watch the addictive and entertaining show. The concept is simply, they take some people and ship them off to a remote island somewhere in the world and have them survive about 35 days with little to no food, shelter, or really anything. What ensues is to only be expected, people lie, cheat and fight! They have done numerous spins on the show in an attempt to keep it different and entertaining. They have recently put millennials against generation x.
I am an avid survivor fan, I have watched every season, and I sometimes sneak in an episode when I am supposed to wait for my husband. Being such an avid fan, when I became a mother something became quite clear to me, being a parent was very much like being a contestant on survivor. I thought about it more and was able to come up with 15 solid reasons why being a parent is like being on survivor. The good thing is you don’t have to go to a remote island away from all of your family and friends to experience all that survivor has to offer. All you really have to do is have children! Are you ready? We are sorry but there is no million dollar prize at the end of this game! One of the hardest things about being on survivor is the lack of food. They are usually given a bag of rice and maybe a couple chickens to get by. They can of course fish or win food in different challenges, but for the most part they are left to do without. This is much like being a parent. Have you ever had a day where you finally got your baby down for a nap, you sit down and realize that you haven’t eaten all day? Welcome to parenthood. We are so concerned and worried about taking care of all of our little one’s needs that we often forget our own. I know I have done this at least a million times. Even when you do eat, sometimes it is cold leftovers that you just can’t be bothered to re-heat. So much for gourmet dining. Bonus points if it is the left over food that your toddler didn’t eat for lunch. 14 What Is This Shower You Speak Of? One of the hardest adjustments I would find on survivor, is the availability of a nice hot shower. Contestants usually have to make do with the dirty ocean water to bathe in. OK, the water may not be as dirty as we are accustomed to in North America, but they don’t even have soap or shampoo. This is kind of what it feels like to be a parent, especially in the newborn days. Even if you do manage to get a second to shower, you are probably way too exhausted to even think of the effort it would take to actually get in the shower. There is definitely no shame in that game, we’ve all been there. I feel a kinship when I watch Survivor and they win a reward that includes a hot shower, I know the relief and the all encompassing pleasure of standing under the hot water for hours (who am I kidding it’s ten minutes, tops!). So, all my fellow ‘dirty’ moms out there, hold up your dry shampoo and yell with pride! Due to the fact that you can’t shower, you are dirty all the time, on survivor or not. On survivor, we are used to seeing contestants with mud in their hair, sand covering their face, and have you seen all the dirt under their fingernails? We, parents, are not always so different. There is always a bit of murphy’s law when you have children. If you wear white, they will somehow wipe mud or dirt all over you. So, you wear black, thinking that you are pretty safe, but nope they will have a runny nose. We are always much like our survivor counterparts in that we just can’t seem to keep clean, same with our little ones. My daughter’s clothes usually stay clean for about the first ten minutes, then she is just filthy. Unless it is completely gross, I also do not do a million wardrobe changes throughout the day, either on her or myself, so chances are we stay pretty dirty until bedtime. No shame in that game! It is not a big secret that when you are on survivor; you lie. It is a game after all, and sometimes you have to tell little (or big) fibs to make it to the end. Parenthood is exactly the same. Sometimes we all have to tell our kids little fibs to get through the day. We all know that lying is wrong, and it is something we would never want to teach our children. We all would also like to never lie to our children, but we do, we lie to them all the bloody time. We can start off with the big lies, santa clause, the tooth fairy and the easter bunny. These are all very common lies that we tell our children, but we know that it is for a very good reason. Our kids usually don’t resent us later for these fibs either. There are also smaller fibs that we tell our children on a daily basis. Did you ever tell your kids, or have your parent tell you, that if you swallowed gum it would just stay there forever? We know this is a lie, but we tell them that to prevent them from swallowing their gum. The difference between parent lies and survivor lies, is that our lies are usually to keep our kids from harm, their lies are just plain mean! One of the best parts of survivor is all the competitions that they play. Whether it be for a reward or immunity, it is very entertaining to watch and to root for your favourite castaway. The competitions have gotten a bit repeated throughout survivor, but how could they not, the show has been on forever. Did you ever notice as parents we play some pretty weird competitions too? Have you every tried to cross a living room covered in LEGO without stepping on one? Or have you ever tried to escape your toddler’s room when they have finally fallen asleep without waking them up? Yup, these are all very weird, and not very fun competitions we play as parents. Don’t forget the one where you have to chase your toddler around a mall or other public place! Really the only difference is that we don’t win a delicious steak dinner after! Being on survivor must feel like you are surrounded by people but completely alone. You almost start to go a little ‘wild and primitive’ when you are on survivor. As you are no longer in a society where you are expected to act a certain way. This has got to be lonely for the people on survivor, especially the ones who find themselves without an alliance or a group of friends. Well, us parents are with you lonely survivor contestant! When you become a parent, especially a new parents, you can find yourself feeling a tad bit socially isolated. You don’t go out and socialize as much as you did before, you are stuck at home taking care of another little baby human being. And hey, we love it and most of us wouldn’t trade it for the world, but sometimes it can get to us. This can give us a little taste of what all those lonely survivor people feel. I know, you may think this entry is a little weird, when I just told you all how you are socially isolated. While you may feel alone, you never really are, both on survivor and in parenthood. On survivor, a group of strangers are stuck together on an island. Can you imagine how annoying that would be to just never get a moment by yourself, especially if you can’t stand the rest of the people (or worse, they can’t stand you!). While we love our children dearly, there are times (usually when they have reached toddler status) that we realize they never go away. We can never have a moment to ourselves. You can try and hide in the bathroom, but they will find you. They are like a more annoying mini-me who just follows us around, all the bloody time. Well, welcome to parenthood, can you survive? Have you ever thought about how boring it must be on survivor? I mean, it is the same thing every day. It’s the same scenery, the same hunger and the same faces of the same people every day and night. This must get old really fast, or I would think it would. This is very comparable to parenthood. We all know as parents the importance of a routine and a schedule. We treasure these and follow them to the tee every day. This can kind of get a bit boring, the same routine every single day. We try and change it up, but we also know the importance of our baby have their normal nap. It seems like every day follows the same pattern; wake up and have breakfast, go to the park, have lunch and a nap, and it goes on. 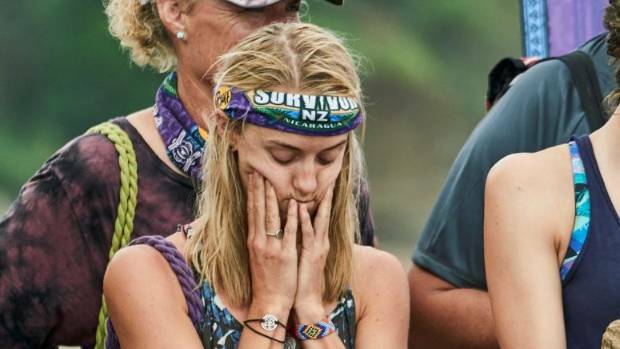 We feel you survivor castaways, we feel you! 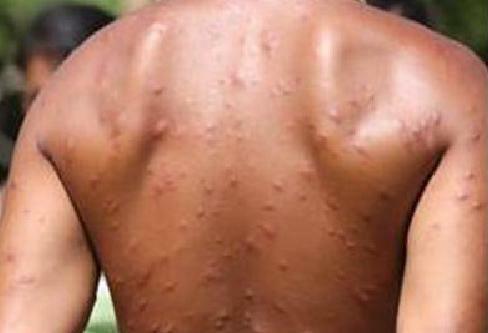 If you are an avid survivor fan, you may remember one season where there was an unfortunate castaway who had to leave the show for medical reasons because of bug bites. That’s right, she had so many bug bites covering her legs and arms. That has to be anything but comfortable. While it may be uncomfortable, it is pretty understandable. They are trapped outside with all kinds of creepy crawlers who are bound to bite and pinch. If anyone has a toddler or two hanging around, you may be able to empathize with these unfortunate souls. Toddlers are infamous for being a little aggressive. We know and understand that this is because they can’t vocalize any frustrations so they use physical violence. Still, baby teeth hurt, and parents find themselves almost covered in bites by the end of the day. At least baby bites don’t usually lead to any infections. When you go one a show like survivor, you have to have a certain strategy in mind. Are you going to be a villain, who lies and schemes your way to the top. Or are you going to be a hero, where you play with integrity and honour. Or, do you fall somewhere in between? The same is when you decide to become a parent. When you are expecting, or even before, parents will think about how they want to raise their children. They think about different discipline strategies to use, or what values they think are important and they want to instill in their children. Another similarity between survivor and parenthood, is that someone will always have something to say about either. Other contestants will be very eager to tell you your survivor strategy is wrong, after all they will judge you on it at the end of the show. Same with friends, family and strangers when you have a baby. 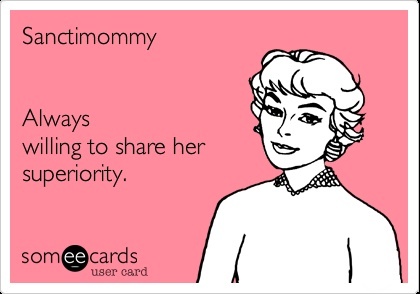 There will always be someone out there who will comment on your ‘strategy’ of raising children. At some point during a season of survivor there will always be some sort of meltdown. Whether it be at camp, during a competition or the heated tribal councils. There will always be a big fight or argument that breaks out, and we love it. It’s sometimes like a car accident, you just can’t look away. We look forward to all the drama that comes along with survivor and we just grab our popcorn and hold on for the ride. It is the same with raising children. There will always be a meltdown, and these ones we don’t usually enjoy as much, as they are happening to us. Toddlers love to throw epic temper tantrums, and they don’t care when they have them. Bless their hearts, they just don’t have any sense of shame yet. Whether it be at home, at daycare or (most likely) in a very public place, they don’t care and they will throw the biggest meltdown you have ever seen. This is also where your strategy that we talked about earlier will be judged. Alliances are a big part of survivor, if you don’t have one then you better get one quick! Sometimes contestants find themselves without any alliance and they desperately scramble to become a part of one before they are voted off the island and their chance of winning goes out the door. Parents need alliances. They need alliances with other parents in the community, and sometimes, out of complete desperation, we need to form an alliance with our children. We have always thought that parents and their children are not equal, and they shouldn’t be. There needs to be an authority figure, it is very healthy and a large factor of raising respectful and good children. There will always be those days when you need to be desperate, and form an alliance with your child to get through the day. You work together and maybe let them get away with something that they wouldn’t otherwise, just so you can keep an ounce of your sanity and not voluntarily jump off the island. I am a BIG fan of the survivor host, Jeff Probst, I always have been. He is a very talented host, and if you have followed survivor through all the seasons, you may have noticed he has gotten a bit saucy in his experience. He isn’t afraid to call contestants out when they are being ridiculous, and he is a wonderful mediator who seems to hold everything together when it is about to fall apart. Contestants and survivor and parents alike all need a Jeff Probst in their life. Survivor contestants need him to provide some sort of normalcy and comfort. They even may need him at times just to prevent fights breaking out. Parents need him for similar reasons. Wouldn’t it be great to have someone like him in our lives to mediate and maybe give us moms a time out when we lose our cool! Whenever anyone goes on a reality show, or even facebook for that matter, their life is on display. It is something that you can not avoid, and something that should be expected. When you are on Survivor, you kind of know what you are getting in for, and there have been many times when contestants have caused trouble on the show, and it has trickled into their personal life. One contestant this past season, made a horrible mistake that actually caused him to be fired from his job. The same is true when you are a parent, well except we didn’t ask for it. Every time a parent steps out of their house with their children, they are on display. While it is very sad, there will always be people in this world who judge decisions that a mother or father makes. From your form of discipline to your choice in what you let your child snack on, there will always be someone out there who thinks you are doing everything wrong. I am not what you would call an ‘outdoor’ person. My version of going outdoors and having fun is sitting on the beach reading a book. I do not enjoy hiking, or going to the bathroom outside, or sleeping on the floor in the rain. Survivor would not be a good idea for me, but there are definitely contestants who thought it looked like a good idea when they signed up. I mean, sure, the million dollar prize is great, but they realize very soon that it comes at a high price. The same is (somewhat) similar to parenthood. We love our children, and we couldn’t imagine our lives without them, but there will always be those days. Days where nothing is going right, and the tantrums are just constant and never ending, we may thing to ourselves that being a parent seemed like a good idea at the time! It is Ok to feel this way, it is just another way we are so alike our survivor friends, except we don’t have a chance to win a million bucks!